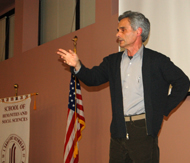 More than 85 attendees from the College and community participated in an engaging discussion with author Ariel Gluchlick regarding his book “Dying for Heaven” – about why sometimes the best qualities of religion are also the most dangerous. It explores suicide bombings, terrorist acts and counterterrorism; and discusses how religious feelings and goals lead to self-destructive behavior. The free community event was sponsored by JSRCC’s Multicultural Enrichment Council (MEC) for the purpose of encouraging cultural diversity throughout the Reynolds campuses and communities. 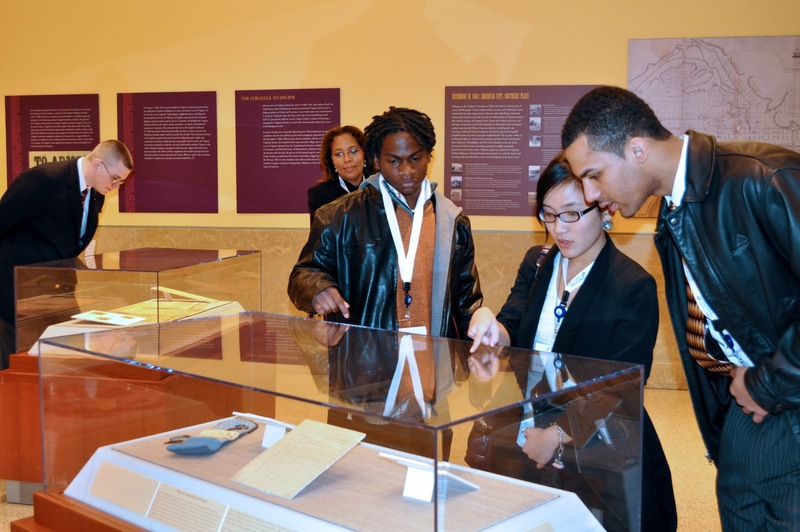 The College also offered several recent events intended to build additi onal interfaith understanding. Robert Chala, a facilitator who specializes in assisting college campuses shape a vision and action plan for building interfaith cooperation, led an Interfaith Youth Core workshop for students. Chala recently completed an intensive assessment of Arab and Muslim Civic Engagement efforts in greater Los Angeles, highlighting the successful role that interfaith cooperation is playing in advancing a vibrant civic sector. He also helped lead the California Fund for Youth Organizing, a network that strengthens the capacity and cooperation of diverse youth social change leaders at the state, regional and local level. Born in Beirut, Lebanon in the midst of civil war, he comes from a Maronite Catholic and Greek Orthodox tradition and is a practicing Buddhist. The MEC also presented the movie “Arranged,” about two women – one an Orthodox Jew and the other a Muslim of Syrian origin – both having their marriages arranged through their respective religious and traditional customs. The film was followed by a discussion led by Dr. Ghazala Hashmi, a JSRCC faculty member, who discussed how her happy marriage of more than 20 years was arranged. More than 80 students were inducted to the Alpha Iota Beta and the Al pha Gamma Omicron chapters of the Phi Theta Kappa Honor Society at J. Sargeant Reynolds Community College on Saturday, February 26. 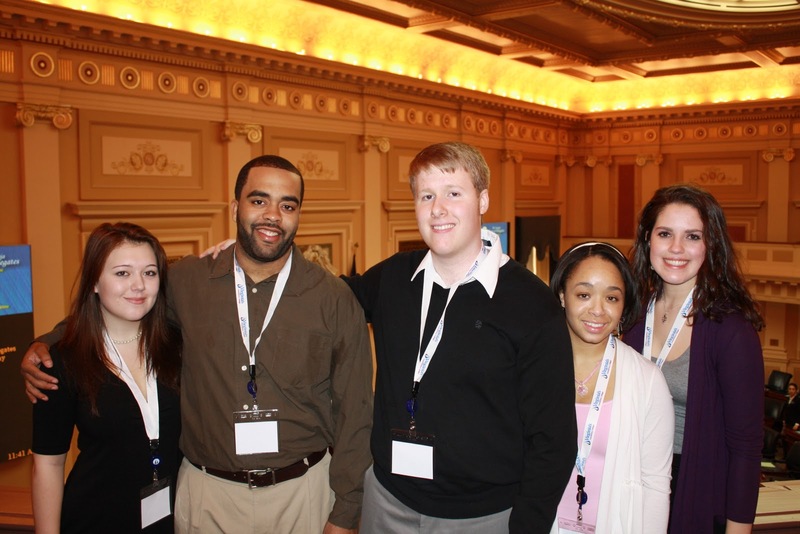 Phi Theta Kappa is the international honor society for two-year colleges. It recognizes and encourages the academic achievement of two-year college students and provides opportunities for individual growth and development through participation in honors, leadership, service and fellowship programming. The event speaker was Dr. Ivan Harrell who worked at JSRCC for four years and left a year ago to take the position of Dean of Students at Anne Arundel Community College in Maryland. It was great having Dr. Harrell back on campus. The JSRCC Office of Student Life presented an interactive Black History Trivia Game Show in honor of Black History Month. The event was offered through Legacy Entertainment Group, which offers game shows, casinos, inflatables and other parties. One lucky Reynolds student won a $200 cash prize. The trivia game show is a fast-paced tournament of the mind where participants answer trivia questions projected onto a huge 10 x 10 screen via a state of the art controller. The faster they answered, the more points they received. Contestants with the highest point totals from each round advanced to a final showdown. 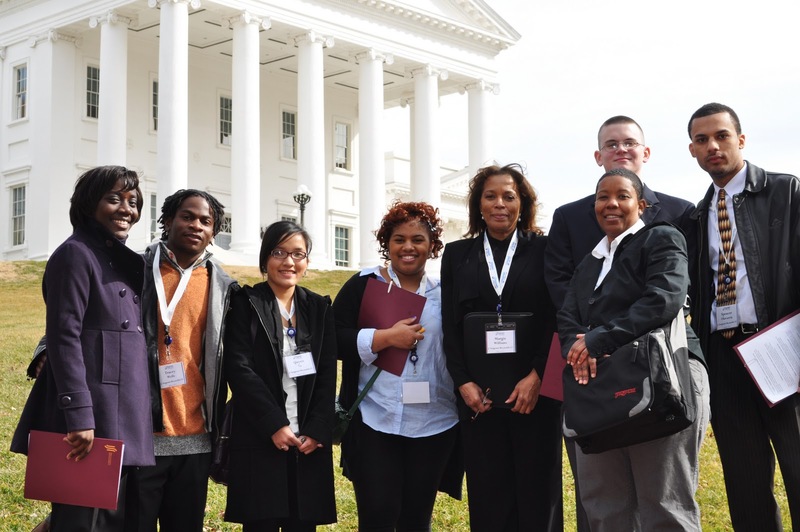 Over the last couple of weeks, JSRCC students have attended “Community College Day” at the Virginia General Assembly sharing their Reynolds experiences and stories with lawmakers. J. R. Tucker High School graduate Mariam Ihsane expressed to Delegate Betsy Carr (D-69th District) that she plans to transfer to Randolph-Macon College in the fall and one day work as a news reporter. “I came to Reynolds in hopes of trying to find out what I wanted to be, and now thanks to my experiences at J. Sarge, I’m properly prepared to continue my education,” she noted. A graduate of Caroline High School, India Johnson currently works part-time in the Hanover County courts systems to gain experience and to help pay for her schooling. She explained when she enrolled at Reynolds, she knew exactly what was in her plans. “I knew I wanted to be a paralegal like my mother. She currently works at Owens & Minor and Reynolds has a great reputation for producing quality paralegals,” she said. Following the morning visits, the students walked to the Virginia State Capital where they toured the building that holds the nation’s oldest legislative body. Additional delegates the students visited included: John Cox (R-55th District), Bill Janis (R-56th District), G. Manoliand Loupassi (R-68th District), Henry Marsh (D-16th District), Jimmie Massie (R-72nd District), Jennifer McClellan (D-7st District), Delores McQuinn (D-70th District), Donald McEachin (D-9th District), John O’Bannon (R-73rd District) and Chris Peace (R-97th District). 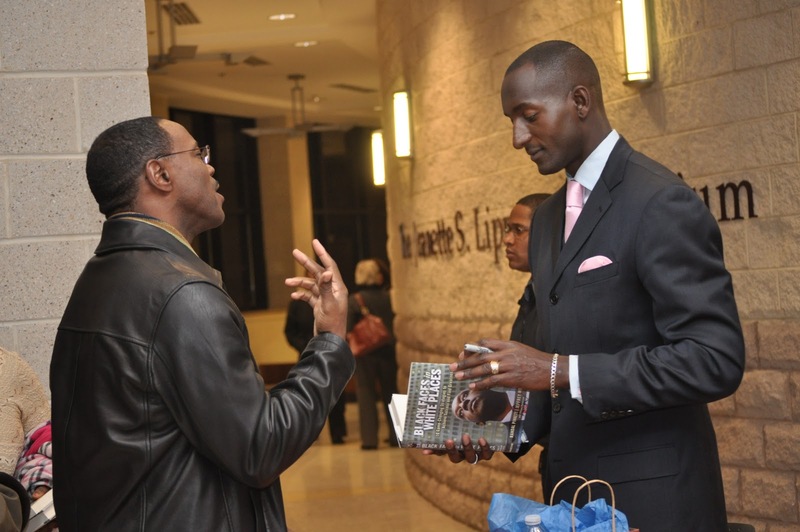 Dr. Randal Pinkett, author of "Black Faces in White Places," addressed students, staff, faculty and community members in honor of Black History Month. 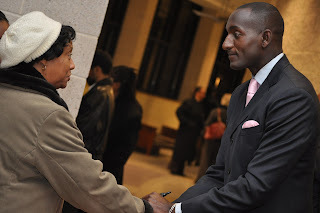 Dr. Pinkett has established himself as an entrepreneur, speaker, author and community servant. He is the founder, chairman and CEO of BCT Partners, a multimillion-dollar consulting firm based in Newark, NJ, that specializes in program management, information technology and public policy. Dr. Pinkett was also named the winner of NBC’s hit reality television show, “The Apprentice,” with Donald Trump. Light, he said, is the example you give to others; love, the service you provide; and life the impact your life has on the world. He referred to several African Americans that overcame enormous obstacles to achieve greatness, including President Barrack Obama. Dr. Pinkett later answered questions and signed books. He also said “the Donald’s” hair is real. 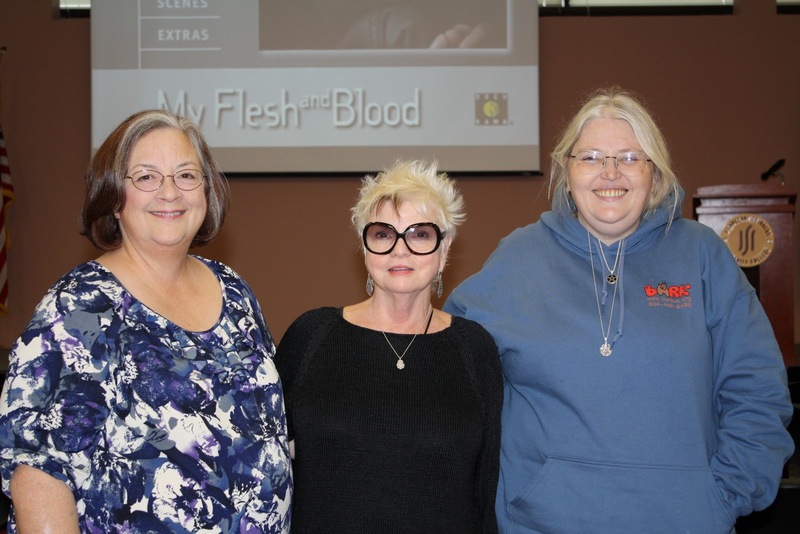 Susan Tom (pictured left), a woman from California that adopted 11 children with various disabilities and diseases, addressed a room of Reynolds students this week. Tom and her children are featured in the 2003 HBO documentary “My Flesh and Blood.” Following the film, she talked with students and answered their questions about her decision to take in children with special needs. Tom and her husband had two biological children and two adopted children. After they divorced, she began taking in foster children and worked to help place them in permanent homes. For whatever reason, she said, she felt a connection to some of those kids. “With some of them, I just felt like they were my kids,” she said. The HBO documentary was filmed nearly 10 years ago. Her daughter Susie passed away prior to the filming and her sons Anthony and Joe have since passed away. Since the documentary filming, the Tom family has also been featured on ABC’s Extreme Home Makeover (see a photos of their finished home here http://abc.go.com/shows/extreme-makeover-home-edition/photo-details/tom-family/60917). JSRCC Literacy Specialist Sidney Jane Sharp (pictured middle) coordinated Tom’s visit. Following the film and the discussion, Richmond Volunteers Organizer Tam Evans (pictured right) discussed local volunteer opportunities with students. For clips from the documentary, visit http://www.youtube.com/watch?v=VO9U3ajImLI&feature=related. It is nice to be far enough from Washington, D.C. to not have to deal with the traffic on a daily basis, but it is also nice to be close enough to enjoy all the city has to offer. 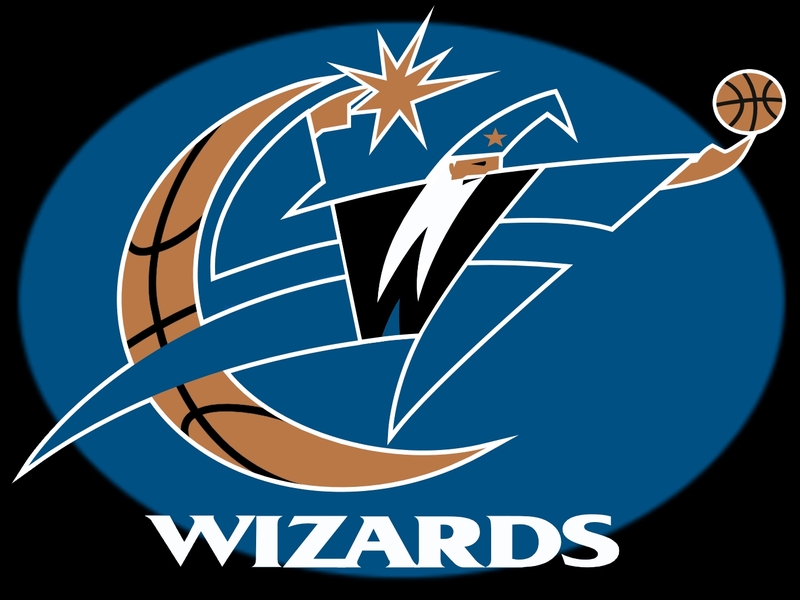 Last week, Reynolds students took advantage of one of the College’s regularly scheduled bus trips to sporting events – to see the Washington Wizards play the Atlanta Hawks. Unfortunately, that game extended the Wizards recent losing streak, and Atlanta won the game 99-92. The JSRCC Office of Student Life regularly plans trips to NFL games in the fall, NHL games in the winter and NBA games in late winter. Since tickets are purchased in bulk, the College is often able to offer students, staff and faculty tickets at a discounted rate. Bus transportation is also typically included. Governor Bob McDonnell recently launched the “College Campus Safety and Violence Prevention Public Service Announcement Challenge” during an afternoon press conference at Virginia Commonwealth University. The PSA challenge is open to students enrolled at any Virginia public, private, four-year or two-year college or university, and the winning video will air on television statewide. 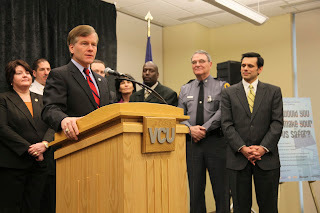 More information on the PSA Challenge can be found at the Governor’s Office of Substance Abuse Prevention website: http://www.publicsafety.virginia.gov/Initiatives/GOSAP/.